One of the concepts that you will find is that of the “prepared environment”. Examples in dementia care include wayfinding signs, memory supports such as memory books, names tags, etc. Another aspect of the prepared environment is to “have materials available and accessible” to quote Gail Elliot of DementiAbility. To do this, in a Montessori school environment there are open shelves with bins or trays that contain all of the materials required for a particular lesson organized by the type of lesson - practical life, math, language etc. The child can select the type of lesson that they are interested in, take it from the shelf to their personal work area and use the materials as they have been shown. Once they are finished, the child returns the material back to where it belongs. In a home-schooled Montessori environment, it typically isn’t practical to build the necessary shelving for the prepared environment. Often there isn’t enough room, and the cost can be prohibitive to build the shelving to scale for the child, changing it as they grow. And this is where Montessori carts come in. Instead of expensive custom shelving, several simple three or four drawer carts are used. 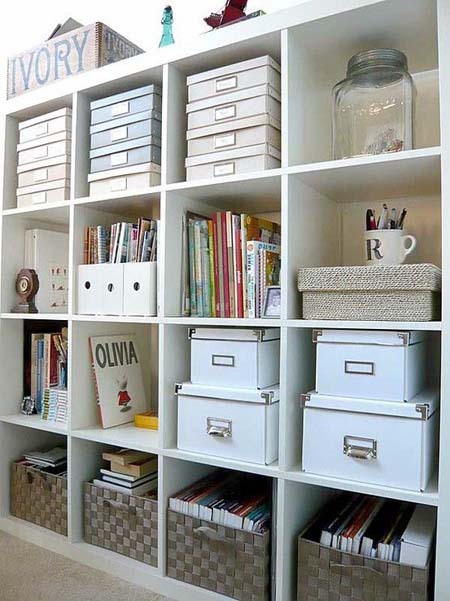 The drawers and carts are organized by lesson type and labeled to make it easy for the child to select the materials of their choice without assistance, and return the materials when finished. A great solution for the Montessori home schooled child. Although we are applying the Montessori philosophy in our dementia care, there are significant differences between children and older adults with dementia. One of those differences is that due to the losses associated with dementia, most people with dementia are not able to self-engage. They are unable to recognize that they need something to occupy themselves, decide what to do and act on that decision. As Gail says, they need a “starter button”. The significance of this is that the labeled, “self-serve” Montessori cart is not really a benefit. Even if the cart was wheeled into the room with the residents, it is unlikely that they would go to the cart and select their own activity, nor put it away without prompting. 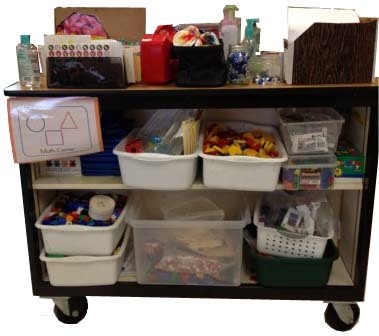 If the recreation department has all of their Montessori activities on a cart, the materials can only be used in one area at a time. If a resident in a different area needs engagement, the staff member would have to find out where the cart is and go and get something from it to use with the resident. If instead, each unit had materials available on the unit the resident could be engaged immediately. Ideally, there would be a variety of materials that would appeal to different residents with different interests and abilities so that you can meet their needs at different times of the day. Our All-In-One Collection is a good starting point for the type of material that should be available on each unit, but even activities as simple as our Pocket Packs are effective.